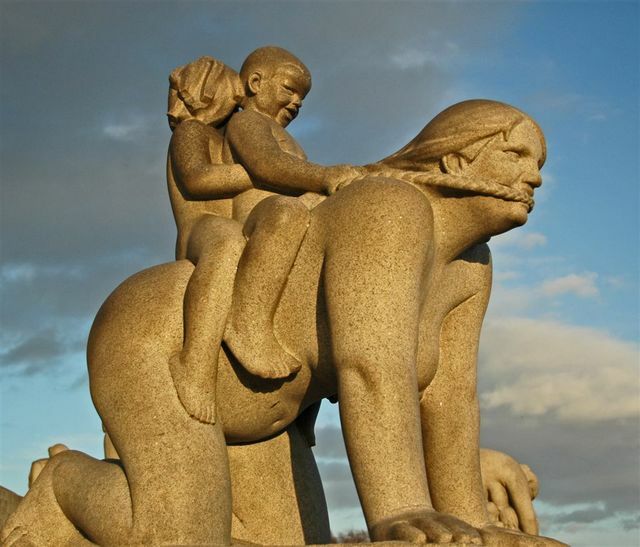 Gustav Vigeland (11 April 1869 – 12 March 1943) was a Norwegian sculptor. 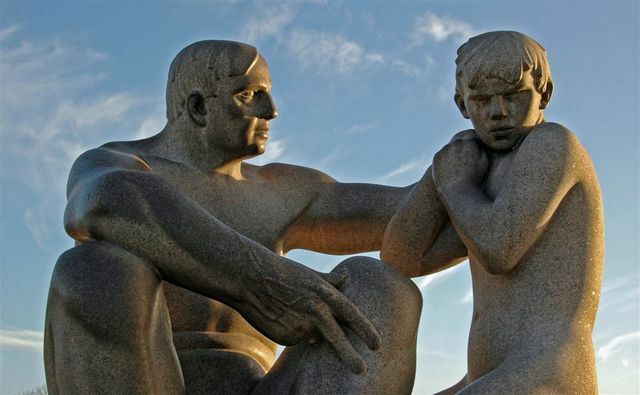 Gustav Vigeland occupies a special position among Norwegian sculptors, both in the power of his creative imagination and in his productivity. 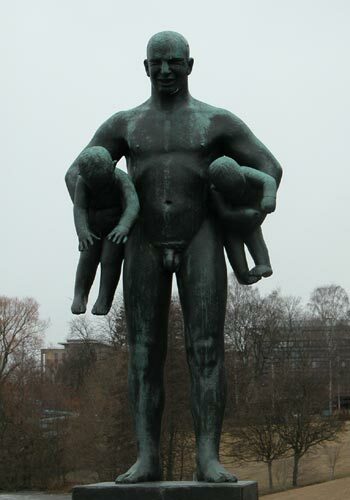 He is most associated with the Vigeland Sculpture Arrangement (Vigelandsanlegget) in Frogner Park, Oslo. He was also the designer of the Nobel Peace Prize medal. 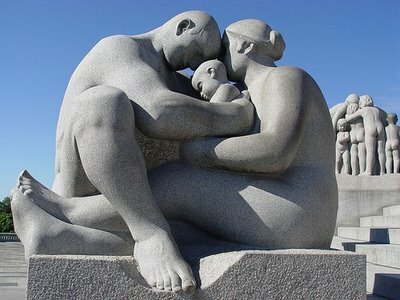 Adolf Gustav Vigeland was born to a family of craftsmen, just outside Halse og Harkmark, a former municipality in Mandal. His parents were Elesæus Thorsen (1835–1886), a cabinetmaker and Anne Aanensdatter (1835–1907). 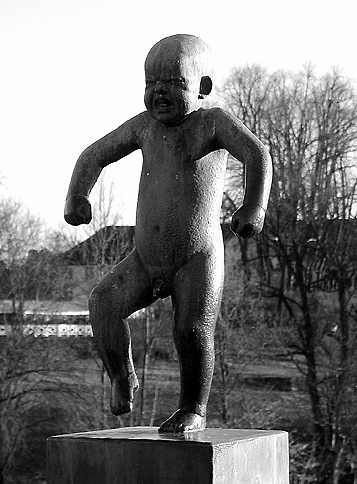 His younger brother, Emanuel Vigeland, became a noted artist. 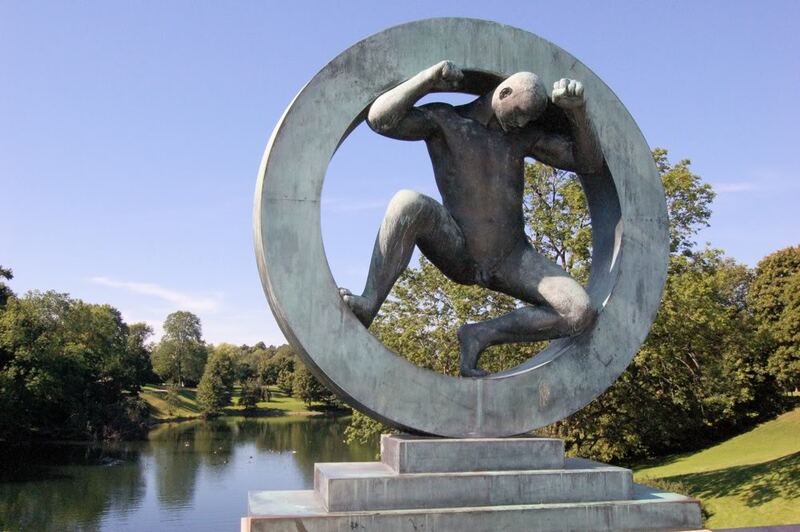 As a youth, he was sent to Oslo where he learned wood carving at a local school. However, the sudden death of his father compelled him to move back to Mandal to help his family. 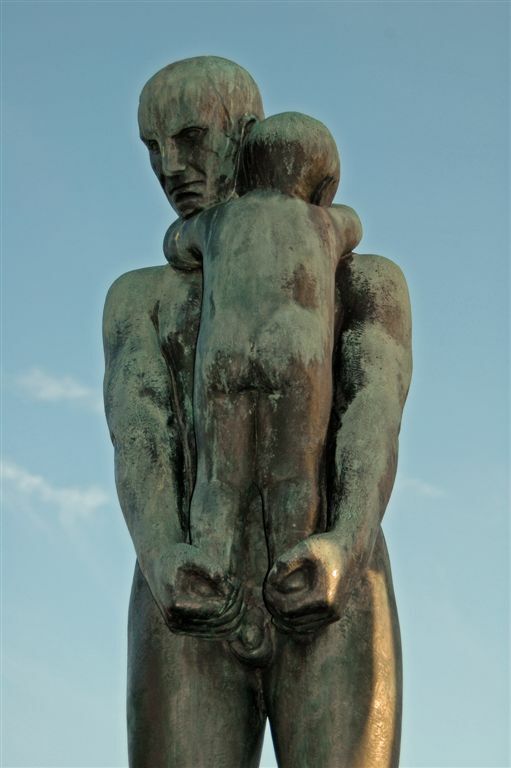 Gustav lived for a time with his grandparents on a farm called Mjunebrokka in Vigeland, an old farm in Valle parish, Lindesnes municipality in Vest-Agder county. 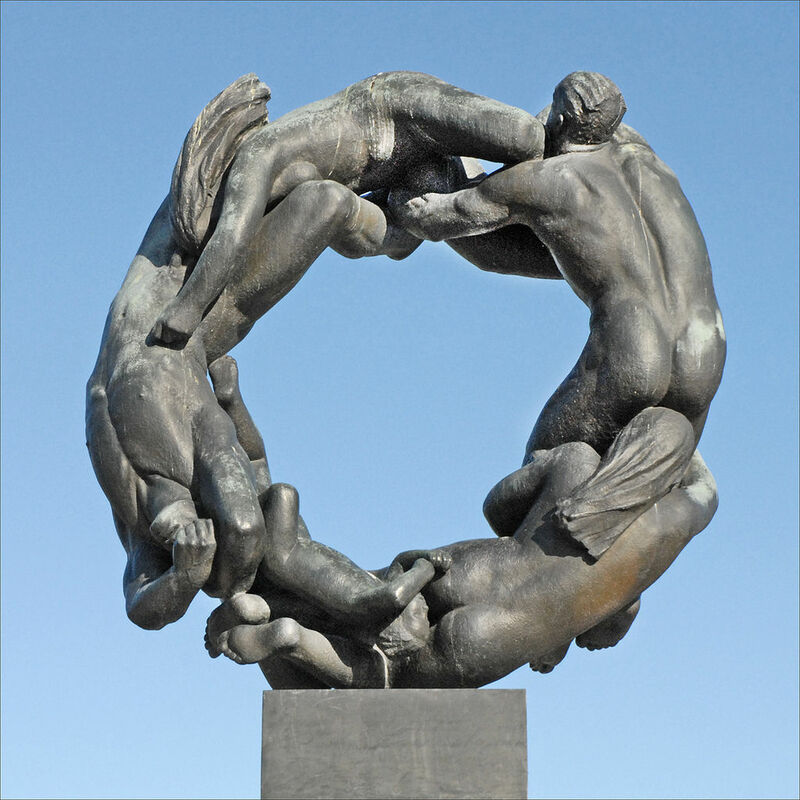 He returned to Oslo in 1888, this time determined to become a professional sculptor. 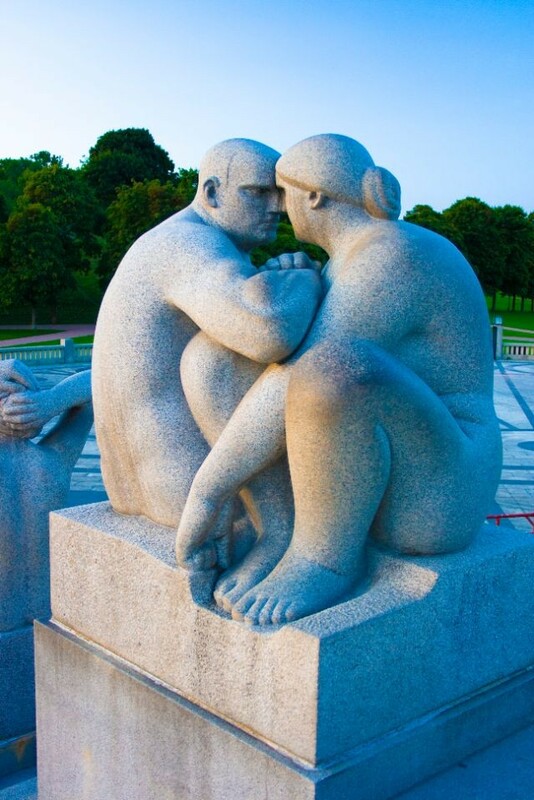 Vigeland came to the attention of sculptor Brynjulf Bergslien, who supported him and gave him practical training. The following year he exhibited his first work, Hagar and Ishmael. 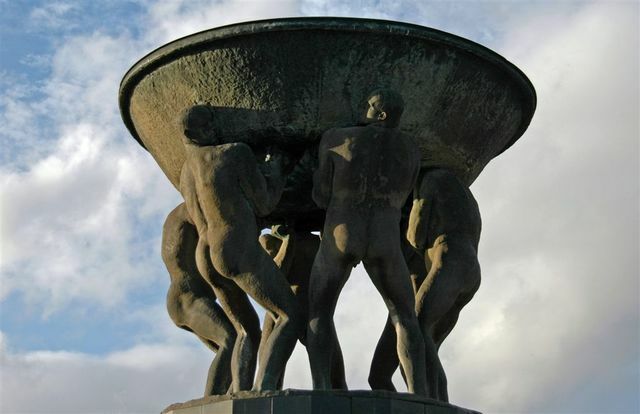 Vigeland spent the years 1891 to 1896 in several voyages abroad, including Copenhagen, Paris, Berlin and Florence. In the French capital he frequented Auguste Rodin's workshop, while in Italy he experimented with ancient and Renaissance artworks. In these years the themes that would later dominate his inspiration: the death and the relationship between man and woman first appeared. He held his first personal exhibitions in Norway in 1894 and 1896, which received notable critical praise. Until 1902 Vigeland was engaged in the restoration of the Nidaros Cathedral in Trondheim. 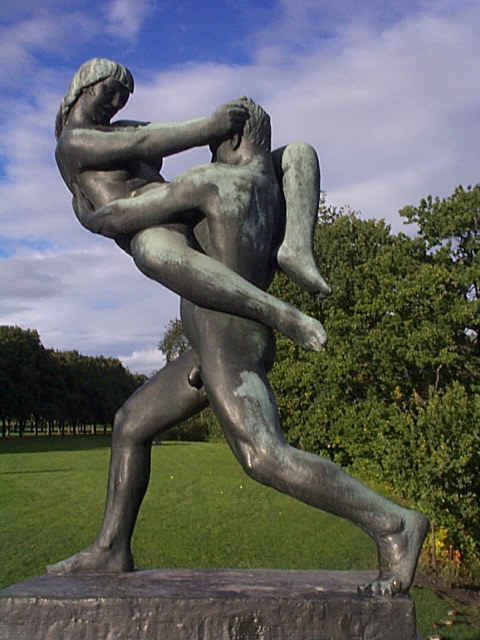 The contact with Mediaeval art contributed to another frequent theme in Vigeland's art, the dragon as symbol of sin but also as a nature force, fighting against man. Back in Oslo, he obtained from the town an abandoned studio in which to work. In 1905 Norway became independent from Sweden. 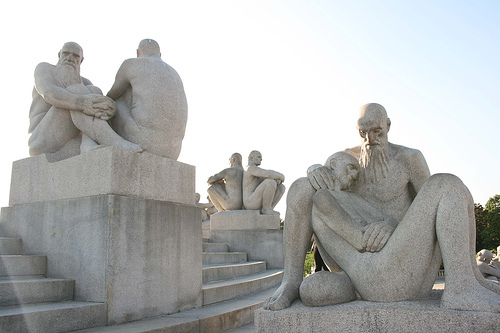 Vigeland, considered the most talented Norwegian sculptor, received numerous commissions for statues and busts celebrating renowned compatriots like Henrik Ibsen and Niels Henrik Abel. 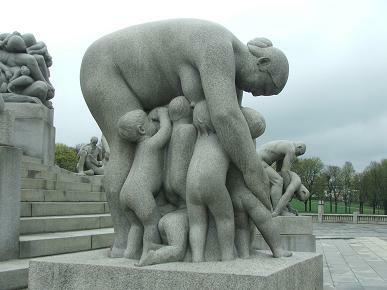 In 1906 Vigeland proposed a chalk model for a monumental fountain which, according to the initial will of the Oslo municipality, was to decorate Eidsvolls plass, the square in front of the Parliament of Norway. His work was generally welcomed, but the location created a dispute: the work completion was therefore postponed. 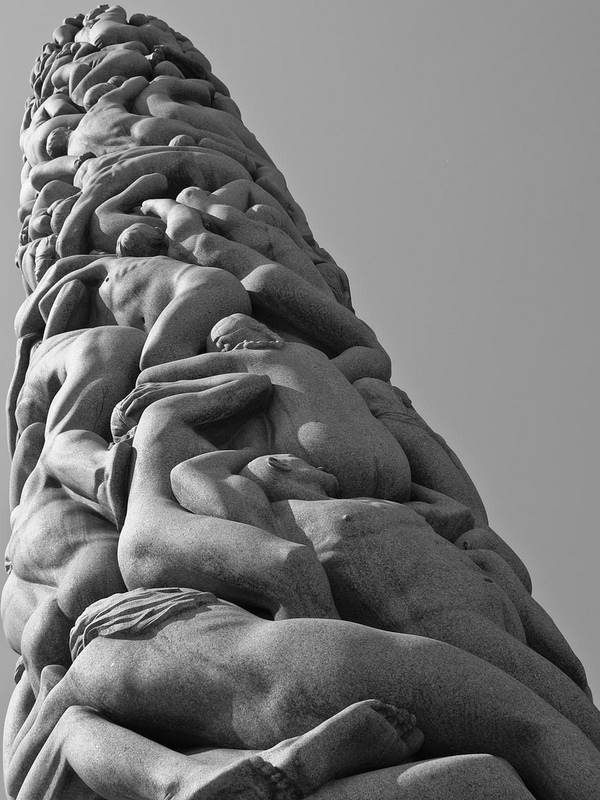 In the meantime Vigeland enlarged the original project, adding several sculpture groups and, in 1919, a high granite column. 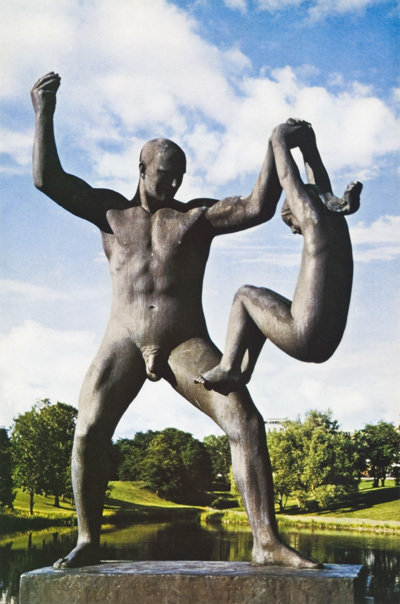 In 1921 the City of Oslo decided to demolish the house where Vigeland lived and build a library. 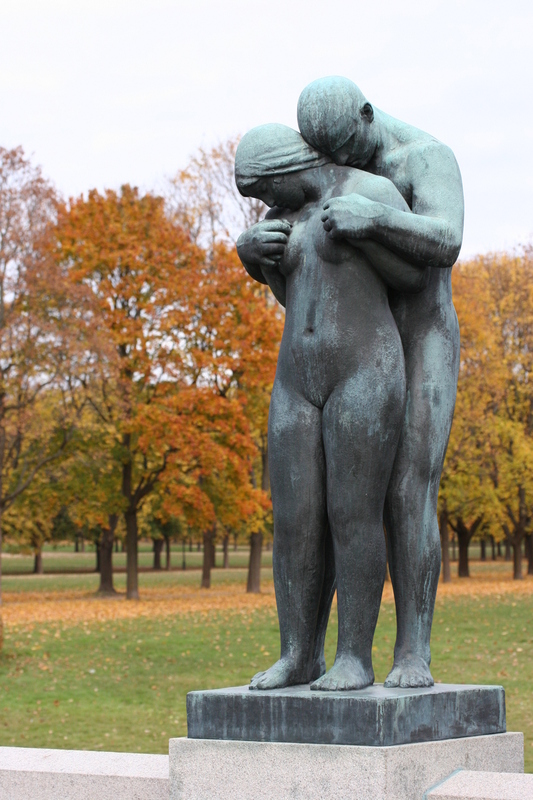 After a long dispute, Vigeland was granted a new building from the city where he could work and live: in exchange, he promised to donate to the city all his subsequent works, including sculptures, drawings, engravings and models. 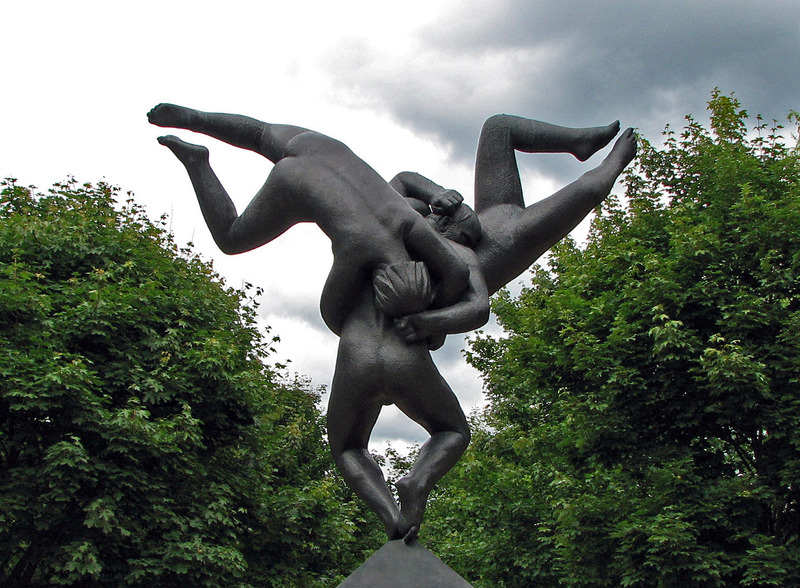 Vigeland moved to his new studio on Nobels gate in the borough of Frogner during 1924. 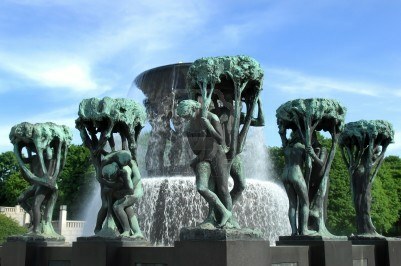 His studio was located in the vicinity of Frogner Park, which he had chosen as the definitive location for his fountain. 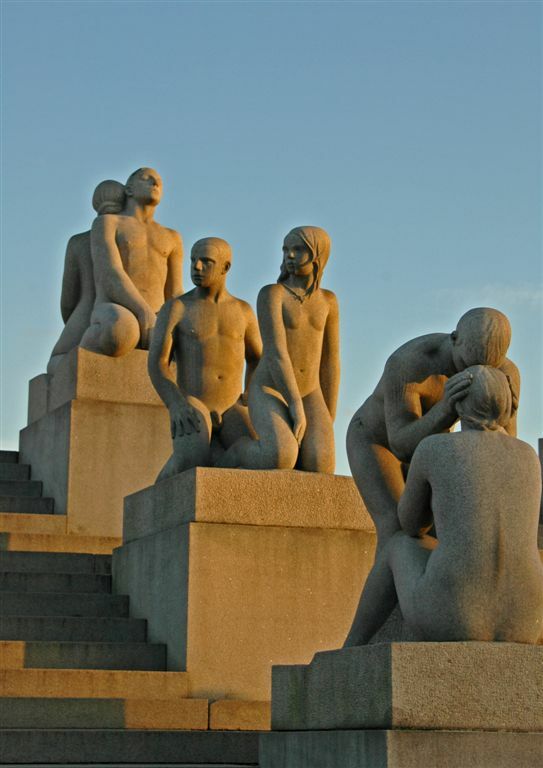 Over the following twenty years, Vigeland was devoted to the project of an open exhibition of his works, which later turned into what is known as Vigeland Sculpture Arrangement (Vigelandsanlegget) in Frogner Park. 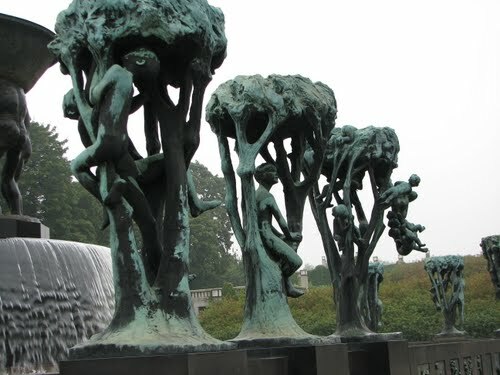 The Vigeland Sculpture Arrangement covers 80 acres (320,000 m2) and features 212 bronze and granite sculptures all designed by Gustav Vigeland. 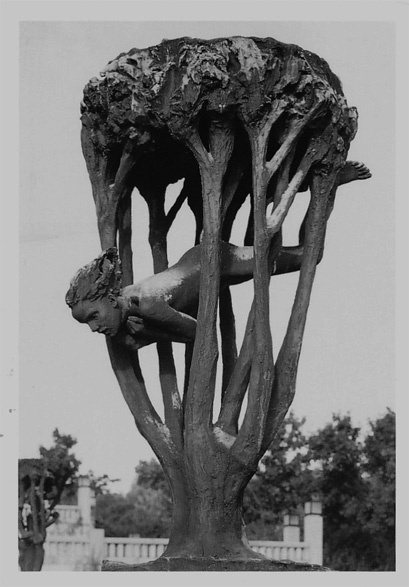 The sculptures culminate in the famous Monolith (Monolitten), with its 121 figures struggling to reach the top of the sculpture. 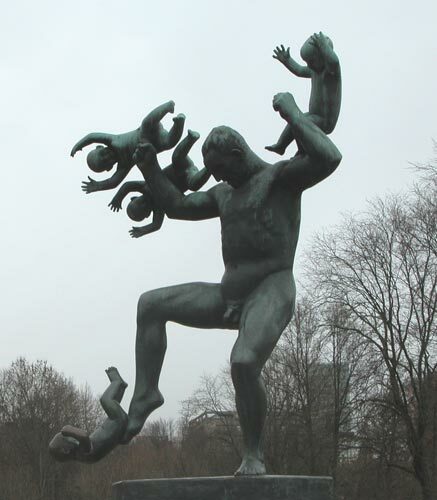 Vigeland lived and worked at his studio on Nobels gate until his death in 1943. His ashes are still preserved there in the belfry of the building. 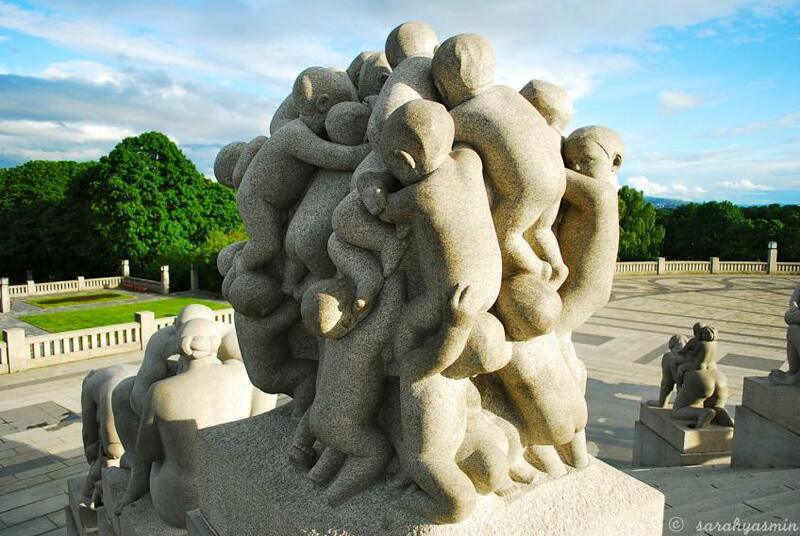 According to the agreement with the City of Oslo, the building became the Vigeland Museum (Vigelandsmuseet). 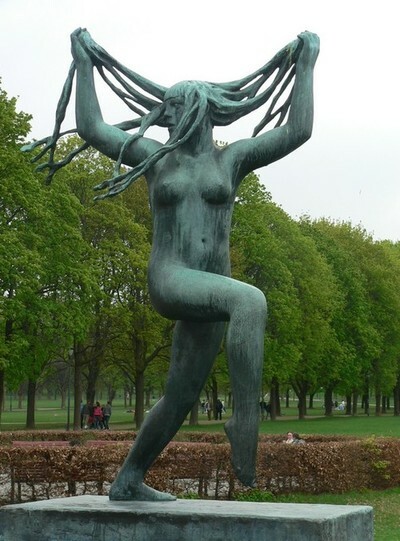 The site is located immediately south of the Vigeland Sculpture Park. 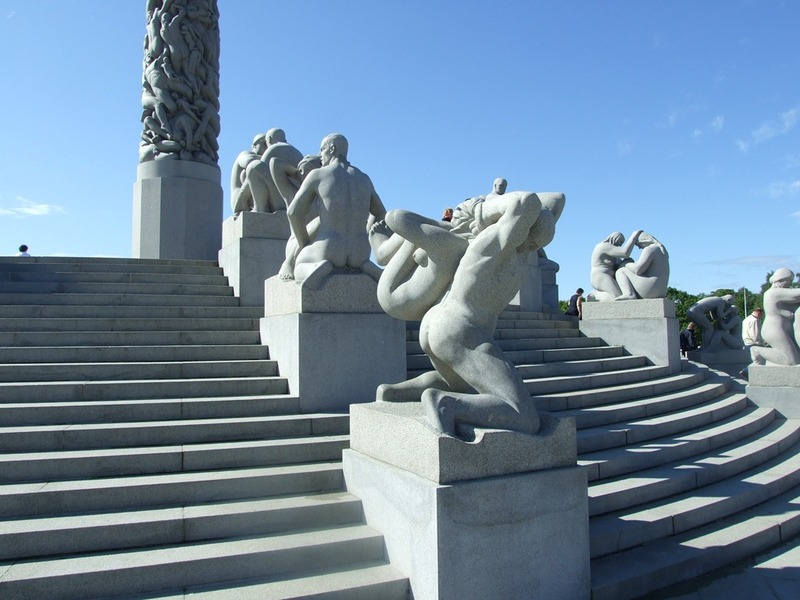 Vigeland's flat on the third floor was preserved as a part of the museum which houses various works by the artist, along with the plaster models of the Vigeland Park sculptures.